The internet of things devices can be broadly defined as products which can be internet enabled items. It also includes web services which enables this interaction and communication between these products. Moreover, IOT helps users digitize and monitor their household equipments with ease. The new types of technology and devices enable the products to be linked online. The IOT devices are rapidly becoming reality with more and more items being invented and getting connected online. This internet of things products use various technologies such as QR Codes and RFID tags which can be connected to various items and corresponding sensors which can used for reading information which is encoded in the tags. Linquet is a cloud-based anti-loss solution for phones and any other valuables. It has a unique feature of sound an alarm when user moves away from the valuable item. The solution is backed by cloud to track location of each item tracked by Linquet that makes it easy to find any misplaced item. 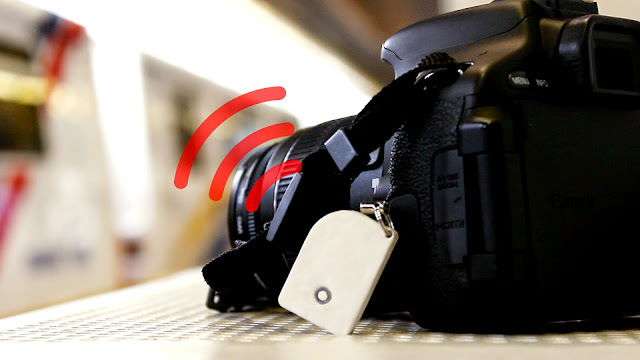 The Linquet is a small device that can be easily attached to any valuable like a keychain. Multiple items can be easily tracked thru a mobile app. Belkin WeMo can be broadly defined as the home automation system which is designed to control and monitor the function of various WeMo smart devices such as lighting devices, motion sensors, LED light bulbs and wall switches. The user can control them from the smartphone app or internet browser. The user can manage everything from the free cloud service of the company as well. One of the latest internets of things products in market - Canary, has brought out all in one home security system which includes sensors and HD video camera for most recording aspects such as vibration, temperature, sound, motion and air quality which is monitored by only one unit. 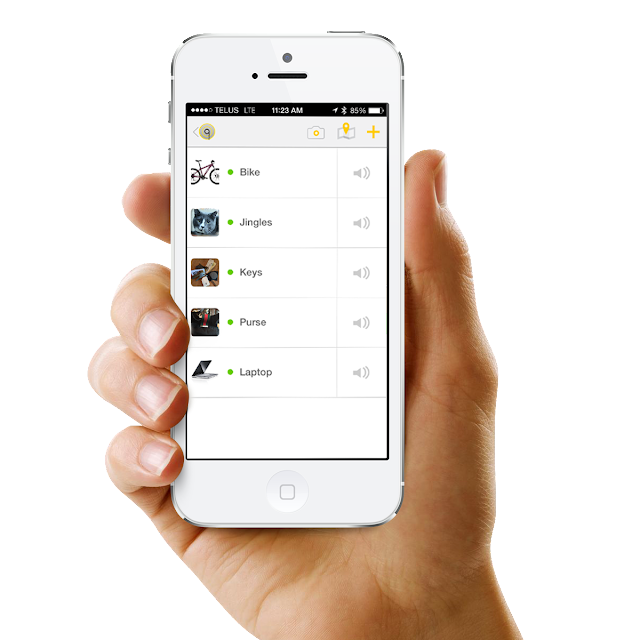 The user can check the status of home and office security with smartphone app anywhere and anytime. The TCP’s home lighting automation system has been designed with a gateway device which can be plugged into various devices. These devices include various devices such as the 2 smart LED bulbs, mobile app, wireless remote control and home router. The home automation system has the capability of controlling them as a group or individually. This system also offers pre-programmed settings to the users. The Neurio offers a wi-fi enabled sensors inside the main electrical panel of your home and identifies various appliances and individual devices by their power signatures. Then it monitors the use of power by each device individually. The system uses machine learning to check out power usage and sends messages to users to their mobile app. An established player in industrial sensor, the company offers Gridconnect Home security systems which co-ordinates with connectsense door, water, humidity, window, temperature, light and motion sensors and home Wi-Fi routers for monitoring the status of home from anywhere. These sensors do not require any hub for monitoring the security status of your home. The medium of communication is cloud service or smartphone apps which is free. Honeywell Total Connect Remote Services is a smart combination of personal smart home automation system with professional security monitoring system. It allows the user to control and monitor everything from window shades and lighting to smoke alarms and security cameras from a mobile app or desktop mounted hardware console. But, to get it installed by an authorized Honeywell dealer. This is designed as the smart Wi-fi enabled automation and home security hub which includes various devices such as integrated 180 degree wide angle HD camera which also have two-way audio system. The embedded sensors detect various items such as sound, light, humidity, temperature and motion. The sound sensors have the ability to identify various common sounds such as doorbell or smoke alarm. Ivee Sleek can be broadly defined as the voice active interface which interacts with Smarthings smart home control and monitoring systems, Staples Connected Home system and Nest smart home thermostat. This unit is also capable of streaming the weather reports and other required information from online sources. This smart home monitoring and control system has been designed to support a vast range of smart appliances and devices from a small sprinkler system, water usage to home security systems. The product is very convenient, easy to install and use and is affordable. The motto of Nest internet of things is to make your home more conscious and thoughtful home which is achieved by interacting securely and safety with the things you use daily in your life. Nest is one of the leading internet of things companies which custom designs the products you can use and allows you to have smart devices which you can control from anywhere with mobile apps. One of the latest home smart products, Almonds can be defined as a wireless range or router extender which also functions as the smart home control and monitoring system. This system supports various smart appliances and devices by using Wi-Fi communication protocols and Zigbee Z-Wave. It includes a touch screen, Color LCD as well as a browser based control interface; the smartphone app is the master control and monitoring console. It's called Sen.se Mother as the theme of this smart home suite includes the hub known as the mother; the wireless sensors are called the cookies. You can attach the cookies to people or objects and program it for monitoring and analyzing the locations, temperature and movements. You can attach it anywhere from toothbrushes to the front door for detection of intrusions. The SmartThings home automation system has been designed to support a vast range of smart devices from Sonos Sound to smart appliances and lets the user control everything from the smartphone app. The system includes a communication hub which is compatible with Z-wave and Zigbee protocols and is accessible by IP devices. The kit includes basic sensors as well as smart plugs. This company offers a branded Home Automation system which includes the mobile app and a smart hub which controls and monitors smart home devices such as window shades, lighting, thermostats, smoke alarms, door locks and many more devices which are available from other brands. The company offers also a professional installation service for the users. This company offers peace of mind to the people who require extra support or who live alone by offering a smart product which detects the switch status (on or off) of the electrical appliances. The electrical appliance which can be connected to this smart product includes garage door openers, CPAP machines, Curling irons, lamps, TVs, coffee makers and microwave ovens. This smart device has been designed to recognize your voice and provide information as per your requirement such as news, weather, music and others. It recognizes commands also, for example, the Amazon Echo recognizes the word 'wake' and switches on. It can also be easily set up at your home with the free app which can be installed in your desktop or smartphone. Cocoon can be broadly defined as a single smart device and home security system which uses the subsound technology for sensing any activity all throughout your home. The system learns the normal sounds of your home and then goes on to detect the abnormal sounds. It also has the capability of filtering out the false alarms. Homeboy can be defined as the self-contained home security system which has the capability to run on the existing Wi-Fi network and does not require additional hardware. This home security system can be installed anywhere with its magnetic base and can be removed easily when you need to reposition or recharge. As it uses a new technology, it seldom needs a recharge. When you are leading such a busy lifestyle that you don’t have time to water your plants, you can use this smart sprinkler controller 'iro' which in addition to maintaining the watering schedule, also is connected with your smartphone app by using wink interfaces. Additionally, it checks the weather information and uses optimum water for your landscape area. 'UP', which is offered by Jawbone, one of the leading internet of things businesses, is a wristband which provides personal insight about the quality of life of the user. It provides information about their current lifestyle and includes how they eat, move and sleep. The wristband is connected with your smartphone with various apps and services based on the open API and UP Platform. Lifx can be broadly defined as an energy efficient, multi-colored LED light bulb, one of the unique iot products which can be controlled by users with the help of the app in your smartphone. This light bulb can change colors as per the requirement of the user and can be used at office, restaurants, hotels, discos and home for highlighting any product or mood of the place. The light bulbs are also programmed for saving energy.